This interesting release just arrived in the mailbox today. 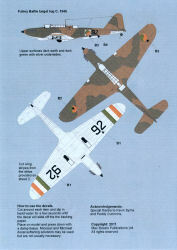 From Max Decals in Ireland, set number 7221 covers the Irish Air Corps between 1922 and 1956. There's a little for everyone here. 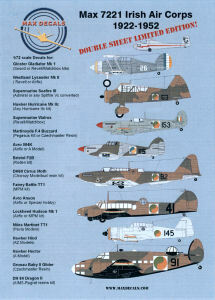 This set compliments the previous release featuring Irish Air Corps subjects between 1990-2010 ( look here). 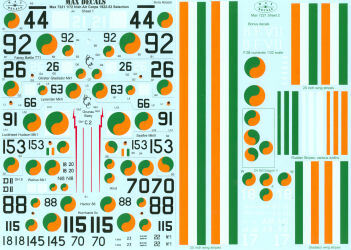 Each subject comes with the unique stenciling and markings used by the IAC and as provided, you can build and mark up nearly all of the subjects. The instructions provide good paint and marking references as well as an invaluable list of sources for each of these subjects in 1/72 scale. 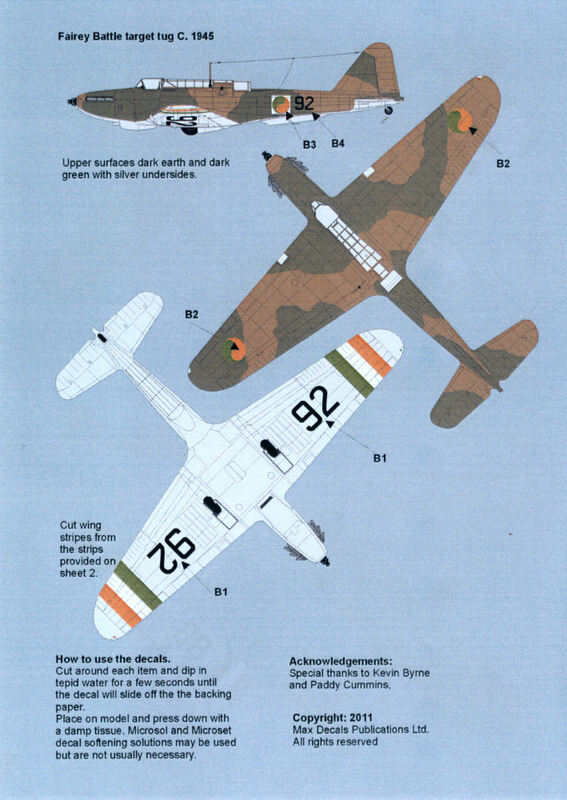 If you're looking for some different markings for your next project, these colorful Irish Air Corps subjects are just the ticket. For more information about this set and the other releases from Max Decals, visit their website at http://www.maxdecals.com. My sincere thanks to Max Decals for this review sample!